You can only expect your clients and potential clients to feel just as strongly about things in life as you do. You can only expect them to be willing to do what you, yourself, are willing to do. To achieve real, sustainable success as a fitness coach and in life, you simply must actually do what you say. You have walk your talk. You must practice what you preach. Don’t try to convince yourself that you can fool people. You can’t. Even if you do from time to time, your “success” won’t last long. Don’t mistakenly believe that you are so clever or so charming that universal standards in life somehow don’t apply to you. So . . . do you walk your big talk, coach? Do you actually do what you want your clients and potential clients to do? And, if you are thinking that I’m talking about training and eating to be healthy and fit or to look muscular and ripped, you’re WRONG in this case. I’m sure you do that. Most coaches and fitness professionals do. That’s basic, entry level stuff. I want to present to you a very important distinction that many coaches and fitness professionals fail to understand. Because they fail to understand this universal truth, they can’t figure out why their coaching business doesn’t achieve the level of success they truly believe it should. How much are YOU willing to invest in a qualified coach to improve in a challenging area of your own life (any aspect of business, personal relationships, finally getting past lifelong issues to be truly happy, etc.)? 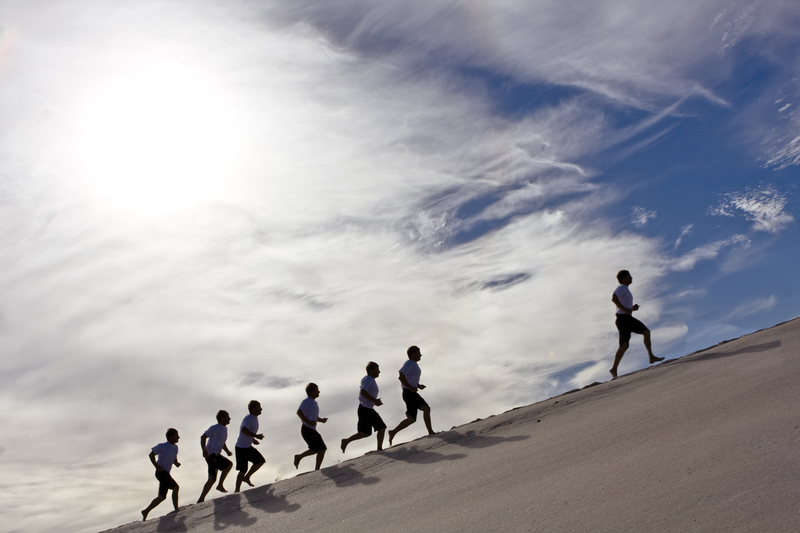 Everyone can use a coach to take their efforts to a higher level faster and more effectively and more efficiently. You’ve probably told your clients this about fitness before, haven’t you? How strongly you feel about coaching in your own life and what you are willing to do to get it will be a DIRECT REFLECTION on how well you do in the fitness coaching business. The way that you, yourself, view investing your money, time, energy, hopes and dreams into qualified coaching to earn eventual success in your own life will set the stage for just how influential and credible you are as a coach to other people. It will also establish the level of success that you can expect with your fitness coaching business. The more you understand and appreciate that the quickest and most efficient way for you to think differently, take a different set of actions than the ones you are currently taking, learn new and better strategies, and actually achieve eventual success in life is to hire a qualified coach to speed up the process, the more influential you will become to your own clients. Your chances to achieve the level of business success as a fitness coach that you really want get better and better. The more you are willing to take risks and “leaps of faith” with your time, effort, and hopes for success and happiness with a qualified coach to help you in those areas of life that you struggle with, the more convincingly you’ll influence other people to take a leap of faith with you and your outstanding fitness coaching services. Life doesn’t work in absolutes. Things aren’t always “black and white.” They’re not always simply “good” or “bad.” They’re not either one way or the other. There are different degrees to everything in life. So, on a scale from 1 to 10, just how much do you REALLY believe in the power of coaching? Does success really leave clues like you tell other people? Your personal success and happiness, as well as, your business success as a fitness professional are riding on that number you come up with. What’s standing in YOUR way of investing in the “next level” business and life coaching that you already know that you could use? What obstacles do you need to work through so that you can prove to yourself, your current clients, and your potential clients that you believe in the power of coaching 100 percent or a rock-solid “10” on a scale from 1 to 10? Is it because you can’t afford coaching for yourself right now? Is it because you are smart enough and determined enough to figure how to improve in those areas of life without the help of a qualified coach? Is it because the areas of life that you know you could use some help improving just aren’t all that important for you to focus on right now? Maybe later they will become more important for you to work on? Is it because your spouse wouldn’t approve of the financial investment costs needed for coaching? Have you actually asked your spouse this? Or, are you just assuming that he or she wouldn’t approve. If you have asked your spouse, how convincing, passionate, determined, and influential were you when you when you presented your argument on why it is so important for you to get coaching? How badly did you want it when you talked about it with your spouse (On a scale for 1 to 10)? Are you convinced that, when you want to improve badly enough, you’ll get committed and disciplined to finally attack these areas of your life? Is that why you aren’t getting coaching for yourself right now? Do you find it challenging to find someone who you can trust to deliver on their big promises that they make? On some level, do you not completely trust that you’ll be as committed as you need to be during the oftentimes challenging process that’s standing in the way of the success that you “say” you want? Do you have references in the past of when you got yourself really excited to do whatever it took to succeed–and that fizzled out a lot sooner than you wanted? Are you, yourself, not getting coaching right now because you are currently doing “better than most” even though you really aren’t where you want to be? Whatever your reasoning might be for not getting coaching right now, your clients are going through some or all of those very same challenges. Do you have empathy and understanding for the mental, emotional, and financial roadblocks that are standing in their way of success and fulfillment? Do you view these as “excuses” that your clients and potential clients just need to stop making? Do you have integrity-stacked, persuasive and sound rebuttals or counter-arguments that challenge their current way of thinking and help them make better decisions? If you do, how much do you believe in your counter-arguments on a scale from 1 to 10? Do you have personal experiences in the past when you felt exactly the same way as they currently do–and you went against your feelings and eventually enjoyed tremendous benefits for doing so? Would you encourage them to become more resourceful? Would you encourage them to demonstrate more grit and determination? What are those important points you’d make that will convince them to TAKE ACTION for the greater good in the long run despite their challenges? Or, would you even try to convince them to reconsider their point-of-view? When you encounter these situations as a coach and person of influence, do you just let them think about your offer to help them and tell them come back when they are “ready”? Where are you on a scale from 1`to 10? Again, be honest with yourself. Your personal success and happiness, as well as, your business success as fitness professional are riding on that number you come up with.